Congress adopted the Articles of Confederation, on November 15, 1777. It was then sent on to the various states for their “consideration and approbation.” The process of adoption was very slow, and the document was not approved until spring of 1781. However, it was never well written and it served more as a makeshift constitution. It purposely created a weak central government. In addition, it contained no authority to levy taxes, leaving the government without the means to pay off its war debts from the Revolution, which were mounting. Even worse, the Articles of Confederation did not create a nation, but instead created a “firm league of friendships” among the Thirteen Colonies. Another weakness was that it failed to incorporate the people who had remained loyal(Loyalists) to the British into the new nation. In 1786, the economy was in horrible condition. Each state was now printing its own money, and it was worth less and less every day. 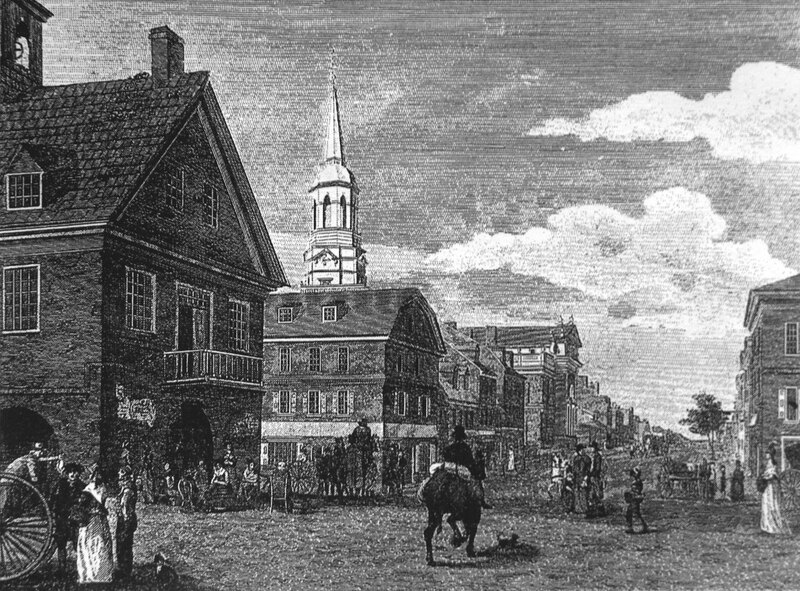 The horrible economy resulted in Congress convening a convention in Annapolis, Maryland to discuss interstate commerce. At the convention, the delegates realized that they needed to extensively reform the present style of government. They met in May of 1787, and one of the first things the 55 delegates did was elect George Washington president of the convention. Soon after, Edmund Randolph and the Virginia delegation introduced their “Virginia Plan,” which called for a central government that had a two chamber legislature, and an executive branch. It was approved by 38 of the 55 delegates. However, now it was time for the states to ratify it, however a new struggle quickly emerged between the people who supported it, the Federalists, and the people who opposed it, who were called the Anti-Federalists. In order to move this stalemate forward toward ratification, John Jay, Alexander Hamilton, and James Madison composed a series of essays that were collectively called The Federalist Papers. The Papers analyzed the weaknesses of the Articles of Confederation, and explained why a strong central government was important. Next, Virginia's James Madison led the effort to create the Bill of Rights, the first 10 amendments to the constitution. It was largely based on the Virginia Declaration of Rights. In 1788, the Articles was replaced by the new United States Constitution. Then, in April of 1789, the United States Senate convened to tally the ballots that were cast by members of the Electoral College for the first president. George Washington has been elected unanimously, and John Adams would become the vice president.